Glutes are one of my favorite muscular groups within the human body. Not for the obvious reason, but for the complexity and just about how great they really are. They really great! 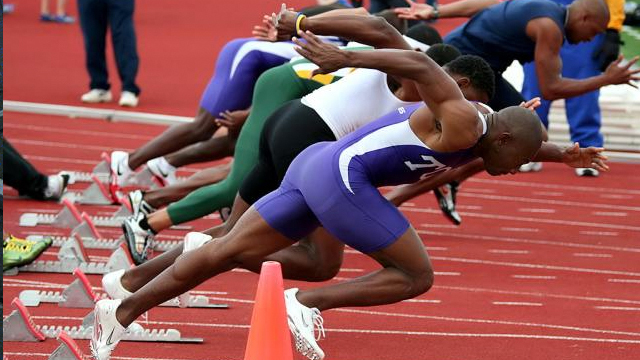 Hip extension and rotation are paramount in many athletic endeavors, as well as functions of everyday life. A simple internet search will yield many peer reviewed articles showing a relationship between the strength of this muscle group and athletic performance, as well as lower back pain, hip pain, knee pain, etc. It is pleasing to see how widely we have improved the importance of “activating” the glutes before we start our workout. I see people rolling on the foam roller, using resistance bands or just simply using their bodyweight. This is simply one of the best things to see as a coach!. Therefore, I wrote this blog. “Glute activation” has become a bit of a buzz term that can be overused or used incorrectly. However, in relatively complex movement patterns like sprints, loaded squats and deadlift variations, a well timed and effective glute contraction can be hard to come by; especially if you haven’t put some work in an unloaded and less demanding position. The following are some very simple drills that can be used to attain a solid gluteal contraction, which can slowly correct some dysfunction (such as restricted hip extension range of motion), while reinforcing proper movement patterns. Note: All exercises can be done without the band. Repeat 2-3 rounds of 10-15 reps each. This one is about as simple as it gets. With so much ground contact, one can focus on the isolated motion at the hip, without having to focus on trunk control. In this position, you can hone in on your breathing whilst maintaining a slight abdominal contraction throughout the entire movement. Relaxed breath + stable trunk + plus glute activation = movement pattern training and the beginning of something spectacular. This drill is a great place to start for absolutely anyone, and a common progression I use with clients, which ends with them completing multiple sets to failure on either side. The side leg raise primarily works the abductor muscle group, a group of muscles that are responsible for moving the thigh towards the side of your body. These muscles are extremely important for daily activities and sports, as well as improving the efficiency of movement. The side leg raise is also an effective exercise for toning the hip area. Perform this exercise while lying on your side. Begin lying on your left side, with your body in a straight line from head to toe and your right hip directly above your left hip. Keep the bottom knee bent (the same position as the clam). Lift your right leg toward the ceiling and then return to the starting position. After doing your desired number of repetitions, perform the exercise with your left leg. Because of the nature of this position, you’ll be forced to use your gluteus maximus. This is exactly what we want!. The glute max activation exercise is one of my favourite because of it’s intensity. 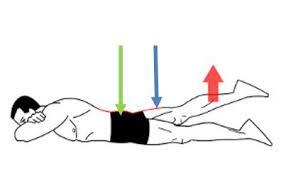 Abduction refers to a motion that pulls a structure or part away from the midline of the body. For instance, when the legs are splayed at the hip, such as a star jump or doing a split, the legs are abducted at the hip. Flip onto your belly. Let's go prone! Draw your belly in towards the ground to keep the lumbar extensors out of this movement, quads tight and knees locked while the toes are pointing out, like a Ballerina. Get the abductor max out of this movement, you will need to abduct a little bit. Meaning spread your legs to the side slightly. This will activate your gluteus medius, thanks to the resistance (the band). From there, get to an extension with a slight amount of abduction against the band. Squeeze and don’t abduct too much and bring your leg as high as you can and don’t force any higher. This will avoid pulling your lower back. Next and last exercise in this series. Flip on your back. Line up your feet, knees and hips. Bend the knees. Squeeze your glutes and stand up tall. Keep the feet planted to the ground, maintain the position at the top while pushing the knees against the resistance (band). Do not over hyperextend your back, instead tilt your pelvis and keep squeezing the glutes. Hold at the top and bring down slowly and repeat! That’s it guys. Give it a go and let me know how you feel. Those buns will burn and activate like there’s no tomorrow.